CELEBRATE THE BEST OF MIAMI ISSUE WITH NEW TIMES WHILE SAMPLING UNLIMITED FOOD & DRINKS! Come and celebrate our biggest issue of the year at the Best of Miami Party! New Times is preparing to launch the winners of the best this city has to offer in the 32nd Best of Issue. 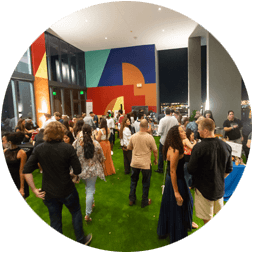 Celebrate all the winners on Thursday, June 20 2019 from 8PM - 11PM at Jungle Plaza, Miami Design District. Guests will be able to enjoy unlimited food sampling and sips on specially crafted cocktails. Enjoy good music, great company, and unlimited food and drinks! Participating restaurants include Giardino Gourmet Salads, Los Tanitos, Silverspot Cinema and many more! Expect to enjoy a night filled with a multitude of entertainment along with the best Miami has to offer! Purchase your tickets today! Tickets start at $45 and include food and drink samples. A portion of the proceeds will benefit Special Olympics of Florida. All guests must be over the age of 21 to attend this event. No infants or babies will be allowed inside of the venue.